Mr Chilton told talkRADIO’s Matthew Wright: “This country has got a long, proud history of people protesting and people marching in the street to push forward their cause. He said: “I support them having the march but I don’t support the cause. 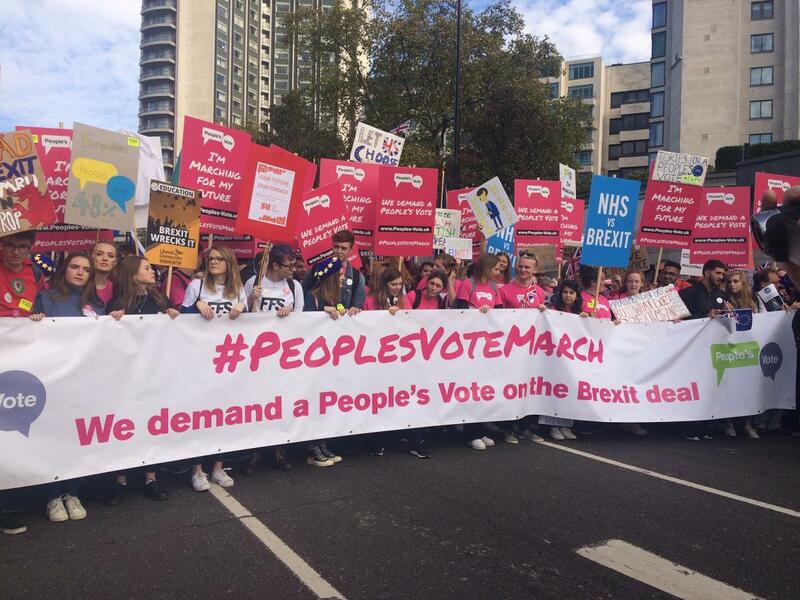 This comes after People’s Vote March organisers claim more than 600,000 anti-Brexit campaigners joined a march through London calling for a second EU referendum. The People’s Vote campaign said its stewards estimated the crowd to be around 670,000 protesters. Eloise Todd, the CEO of Best for Britain was also on the show. She said: “For every hundred thousand people who marched, there were absolutely loads more at home that were with us in spirit on the streets. “We got a hundred thousand people out in June and that skyrocketed to 700,000 on Saturday.